A comprehensive performance from Pune as they break their 4-match losing streak in the 2016 Indian T20 League. Chasing a paltry target of 119, Pune lost the in-form Ajinkya Rahane in the first over for a duck. However, Steven Smith and Faf du Plessis ensured that there would be no miracles for the hosts as they added a fluent 80-run stand for the 2nd wicket to settle the issue in favor of the tourists. Both batsmen stuttered initially a bit but then waded into the Hyderabad bowling. Faf departed with 39 needed to win and MS Dhoni got out quickly after the Pune captain had promoted himself to number 4. As soon as he got out, the rains got heavier and the umpires decided to end it. David Warner - (On it being a bad night for Hyderabad) Yea exactly. It wasn't up to our standards. This is not what we expect. A couple of half-trackers went to hand, a leg side strangle. We made their bowling look good. We lost too many wickets upfront and that never helps. (On whether his team is overdependent on him) No, that's being unfair. The boys tried hard but couldn't succeed. We lost wickets in clumps and that doesn't help. (On the fitness of Kane Williamson and Yuvraj Singh) They are close, really close. Ashish (Nehra) was fit for this game and these 2 guys are close to selection is what the selectors say. (On the crowd support) It's always great to have good support here. MS Dhoni - (On the win) It's important to win games because if you talk about the first 5 games, we had only won one. It was an important win as the host team was playing some good cricket. (On winning a toss) Apart from the first toss, I had won all tosses. More than the tosses, it was the performances that was the problem. We hadn't thought about the rain. We thought about bowling because it is difficult to put a score on the board here on this pitch. While chasing, you know how much to get. I thought it was the length. (On the bowling) The bowlers all hit the right length and when Ashwin got the chance, he too did a very good job. It's important to get wickets early because if you don't in the first 6, the batsmen have the license to put away any bowler that comes their way. (On team's fielding and when told that he can play another 10 years with his current fitness) I wouldn't mind, another 5 would be fine but fielding is what we haven't been good at. But today, we did well and all the tough ones went to the best fielders. Overall, it was a good win as the batsmen batted well and the bowlers bowled well. 69 runs were needed in the last five overs when Miller joined Maxwell in the middle but some exceptional bowling by the pair of Bumrah and McClenaghan didn't allow them to get away. We witnessed pinpoint yorkers and smart lines from them which helped Mumbai come out on top eventually. Bumrah with three wickets was the best bowler on show while McClenaghan continues to pick wickets. Tim Southee was also impressive. Powered by good knocks from Parthiv Patel and Ambati Rayudu, Mumbai managed to post a big total on the board. In pursuit, Murali Vijay took Punjab off to a good start but didn't last long. His partner Manan Vohra followed him soon and it looked like the same old script from the hosts. But the Aussie pair of Shaun Marsh and Glenn Maxwell joined forces and added 89 runs for the third wicket to keep the hopes alive. Comprehensive win for Mumbai! 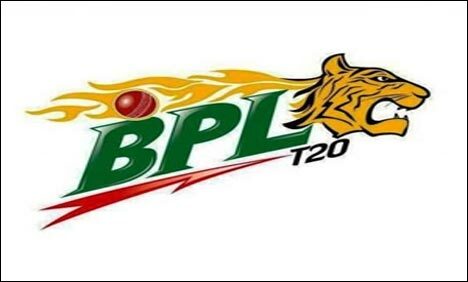 They outclassed the hosts courtesy superior batting and bowling and have gained crucial two points to move to the fifth spot in the points table. Man of the Match, Parthiv Patel: It was a very important knock for me. I have had five innings without a big score and from personal point of view it was important. (On his partnership with Rayudu) The wicket was dry and we decided to make sure one of us bats till the 15th-16th over. Rayudu is a fantastic player and he has been in good form as well. I wasn't hitting the ball well but batting with him helped me. It's very important to carry on the momentum. Kerala Blasters FC vs Mumbai City FC 8th match of Indian Super League 2015 is going to take place on 08 October 2015. The Official match timings are 19:00 IST and, match will be held at Shree Jawaharlal Nehru Stadium, Kochi. If you are interested to Buy Kerala Blasters FC vs Mumbai City FC match-08 tickets online, then we are providing you the Official link to Buy instant match tickets to watch ISL matches live streaming at ground. This is the match of the Amazing Sunday, 10 October 2015.Kerala Blasters FC vs Mumbai City FC will be played at Jawaharlal Nehru Stadium, Kochi. If you want to find FC Kerala Blasters FC vs Mumbai City FC match Astrology Prediction as well as Winning team b/w Kerala Blasters FC vs Mumbai City FC then you can find Kerala Blasters FC vs Mumbai City FC 100% betting tips online here with Astro match prediction & analysis. 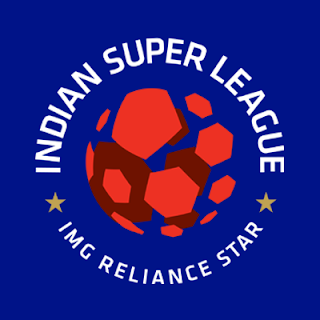 We are providing you the winning team information of Indian Super League 2015 07th match b/w Kerala Blasters FC vs Mumbai City FC including free betting tips as well as Paid betting tips. You can find Kerala Blasters FC vs Mumbai City FC match Predictions & Preview report below in the post! If you want to Kerala Blasters FC vs Mumbai City FC 10 october 2015 match Live Streaming, then you are at right place to know the details for Live telecasting of Kerala Blasters FC vs Mumbai City FC.